Kabras Sugar successfully retained the Christie 7s title with a 19 - 7 win over Resolution Impala Saracens. Leo Seje’s converted try put Impala up by 7 - 0 but Philip Wokorach stepped his way to the try line and Tanga missed the conversion giving Impala a 7 - 5 lead at the break. Kabras Sugar RFC became the first back-to-back leg winners in the 2017 Sevens Series. 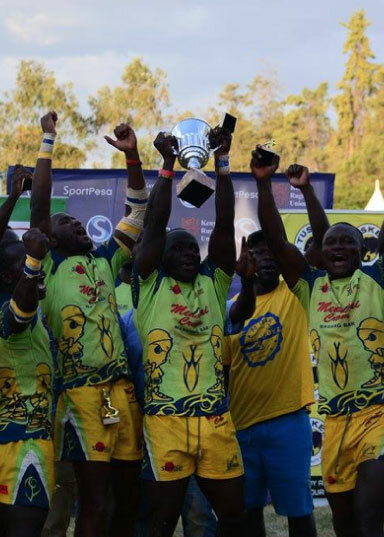 It was also the first time in the series that we saw similar cup finalists as the two also played out the Sepetuka 7s final in Eldoret, where Kabras were crowned champions after a 26 - 7 win. The Sarries went into the break leading 7 - 5 before Kabras came into the second half guns blazing. Dan Sikuta going over after sustained pressure with Wokorach converting for a 12 - 7 score before Malik Habil reacted quickly to the loose ball, touching down with Wokorach converting for the result. 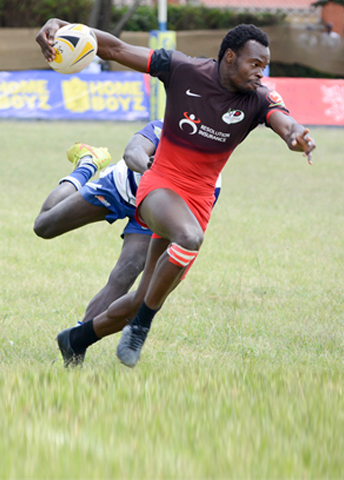 Top Fry Nakuru RFC finished third after beating hosts SportPesa Quins 12 - 5. There were also wins for Mwamba in the 5th place final, Nondies in the 13th place final and Makueni in the Division II category.